This is a nice Vintage Patriotic Image! It’s an old 4th of July Postcard! 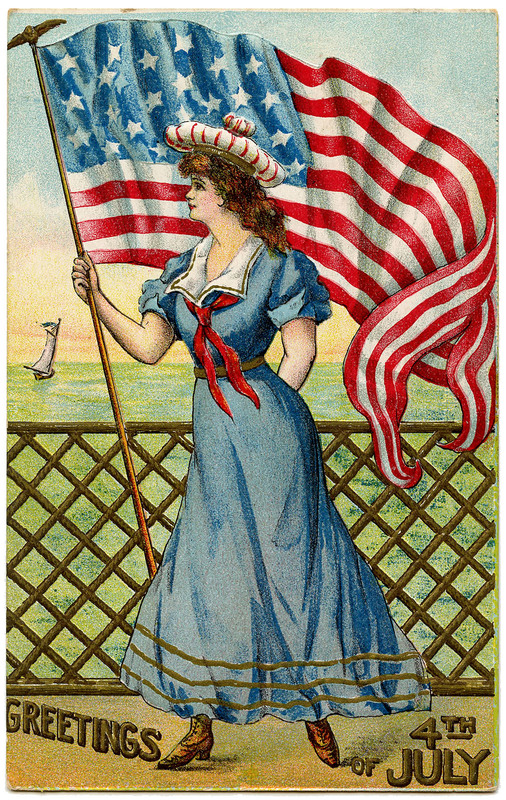 Featured on the card is a lovely girl dressed in a red, white and blue Sailor girl outfit. She’s holding a large American Flag, that’s waving with the breeze from the Sea. In the background, you can see the Ocean and a tiny Sailboat. I found this one in an antique mall on a recent buying trip, it dates to 1908. It was originally sent from Lillie to her sister Agnes. Such a charming card! 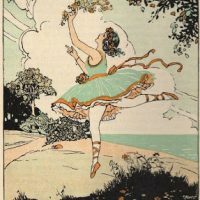 Free Graphic – Charming Ballerina Vintage Graphic – Dancing Ladies – Advertising Free Vintage Birthday Card – Lilacs! She is lovely! thanks so much! What a great image. Thank you for your generosity, energy (!) and creativity. 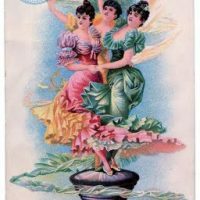 Thanks so much for so many free vintage images! Love them.